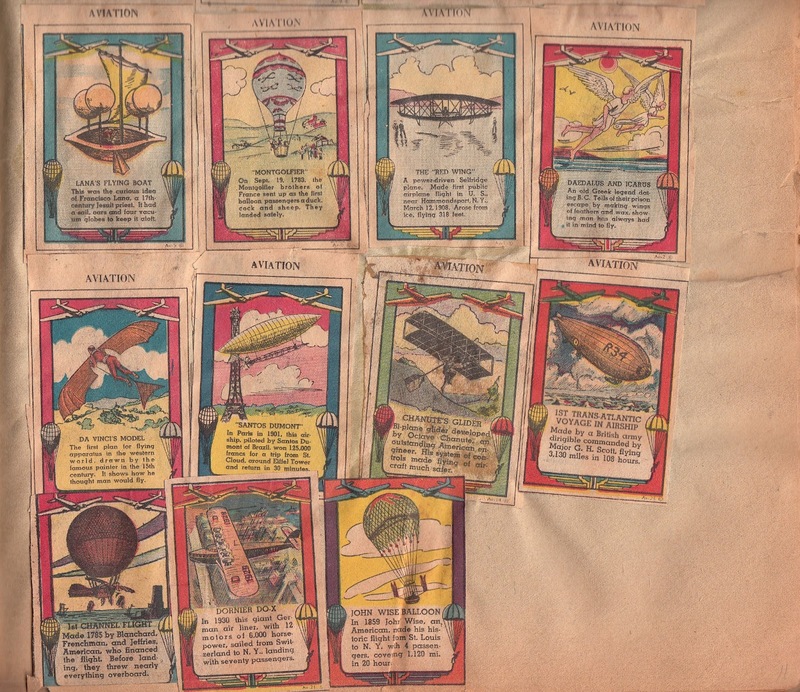 For one young collector, the Sunday Funnies meant a pair of scissors and glue. 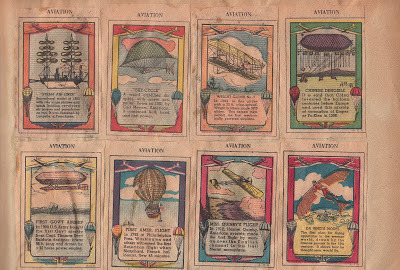 One page from an enormous scrapbook found at an outdoor weekend flea market. There are hundreds and hundreds of illustrations arranged a week at a time by subject. Others include Inventions, Leaves, Transportation, History, Flags, Famous Men, Famous Women, Birds, Reptiles...a homemade encyclopedia one week at a time. 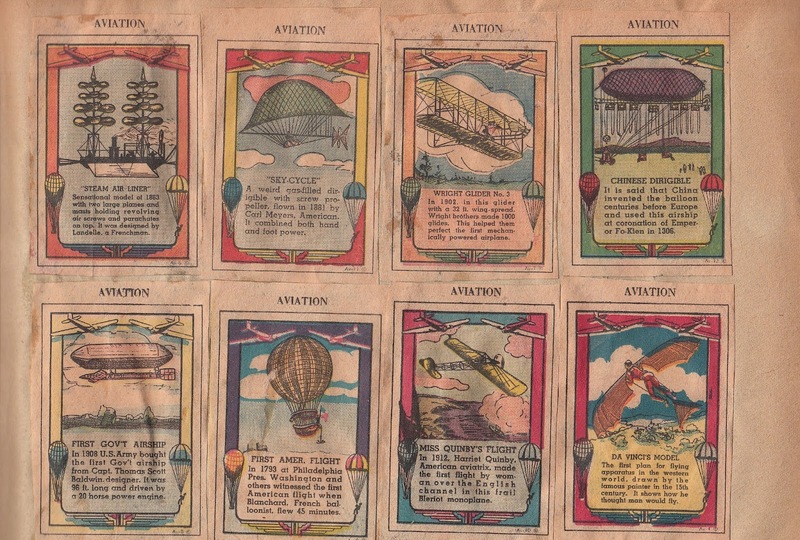 The Sunday Funnies went color around 1900, and while the strips today receive the most attention, there was a week's worth of work in each edition for the kids. Puzzles, paper dolls, quizzes. Some even included entire dioramas to be assembled. 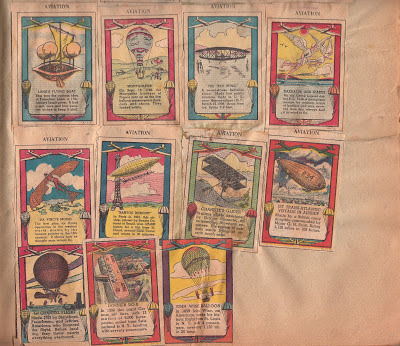 Each of the miraculous airships here are 2" x 3"
What a gem! These days my paper has a rather pathetic section on the back page of the Sunday funnies with items for kids. Mainly just "can you see which one is different?" They print them so small most of the time you need a magnifying glass to look at them. Bring back and honest to goodness kids page to the newspapers.